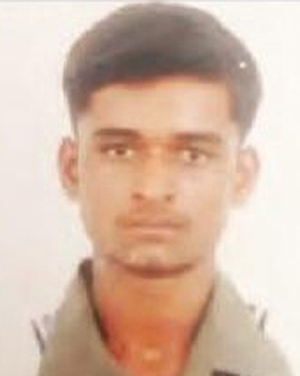 Puttur, Sep 1,2016: : A young man hailing from Arehalli in Belur taluk of Hassan district has been found dead under mysterious circumstances on the National Highway 75 at Valabail in Bajattur village on August 31 Wednesday morning. Though at the outset it looks as if the man was a victim of a road accident, there are suspicions as to whether this was a case of murder. The deceased person is Shaukat Ali (28), son of Ahmed Ali. His identity could be established based on the mobile phone found in the purse. Shaukat was a wood cutter by profession in his hometown and had come to Mangaluru on Monday to see his new born baby girl. His wife Fauziya who hails from Savanur had delivered a baby at a private hospital in Mangaluru. Sources say he was in the hospital on Monday and left on Tuesday to meet his two year old elder daughter who was at his wife’s parental home. Though he had returned after meeting his daughter, he was later found dead. Meanwhile, the revelation of Shaukat’s uncle that Shaukat had a strained relationship with his in-laws has pointed fingers towards the latter. It is said his mother-in-law had once earlier slapped him and also disallowed him to take his elder daughter. The post-mortem report has revealed that Shaukat’s body bore as many as 20 injury marks. The suspicion is that his might have been run over by a vehicle after murdering him. A heinous act. Why the people have turned so cruel that they kill one another. A tragic incident. What has the child done it hasn’t seen the father’s face he died. The story start rising after such incidents . If the uncle suspects the her in-laws why he did not complain about it prior . Why now? We cannot bale anyone unless we know the fact .If the in-laws hate Shaukat ali so much there may be a strong reason behind it.